A Colorful Mystery is Afoot on Prism Island! A mystery is afoot on Prism Island - and only Paper Mario™ can solve it by restoring the island's vanishing colors with his new Paint Hammer and the powerful Battle Cards up his sleeve. These fresh layers of strategy, along with the hilarious action adventure gameplay the series is known for, make this one of the most colorful Paper Mario action-adventure games ever. A hilarious action-adventure game set on mysterious Prism Island. 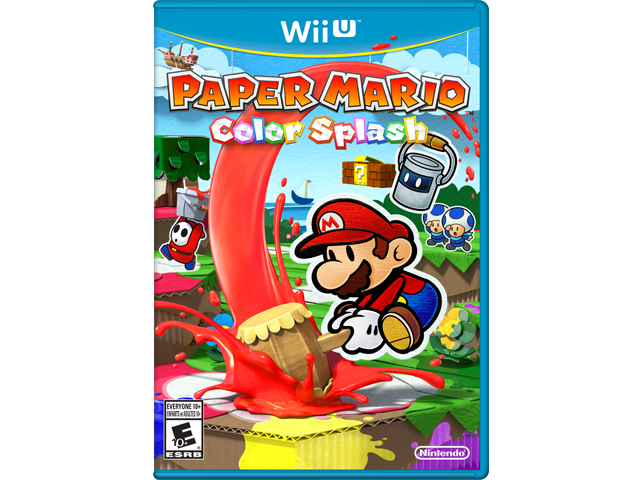 The Paint Hammer lets Mario™ restore the drained color of Prism Island. Color in colorless spots to solve puzzles and search for clues. Revive Toads™ who have been drained of their color. New Battle Card system. Cleverly use Battle Cards during puzzling battles to defeat enemies. Summon objects with Things cards. Use Enemy cards to summon allies. The new cutout feature allows you to extract areas from environments to overcome obstacles whenever possible.